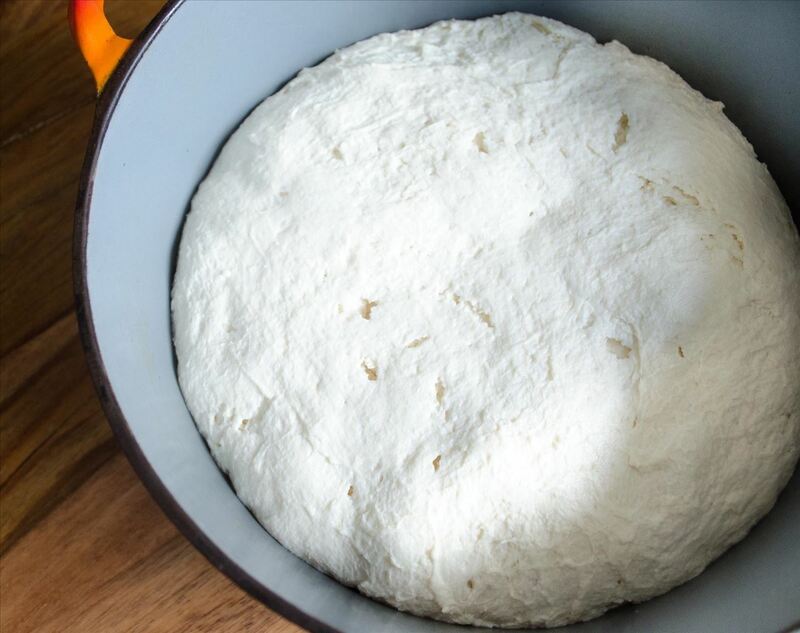 Sourdough is a delightful twist on your traditional bread, but creating and maintaining a sourdough starter can be a headache for many home bakers. Heck, I'm a culinary school graduate who spent plenty of time studying how to perfect sourdough starters, and I still don't jump at the idea of casually making a starter. Luckily, you don't need a starter to make bread sourdough's tang and tartness. Thanks to the live active cultures it contains (plus an extended rise time), anyone can make a loaf of sourdough bread... using yogurt! The key to perfecting a "mock" sourdough bread with yogurt is, as I mentioned earlier, using a plain, unsweetened yogurt with live active cultures. 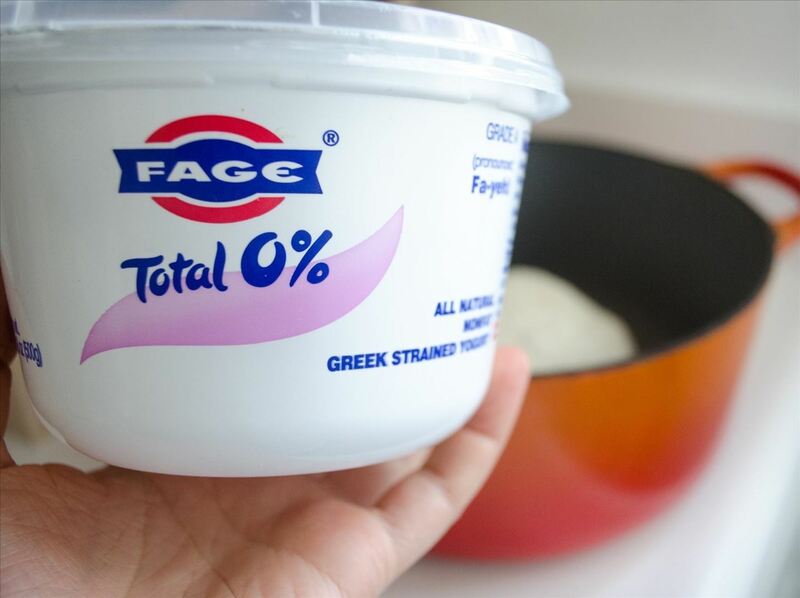 The bacteria present in this type of yogurt will provide the tart flavor similar to that of a sourdough culture. Additionally, it is important to select a brand of yogurt that has a powerful tang to it. I've found that Fage and Chobani are two yogurt brands with the ultimate tangy flavor. 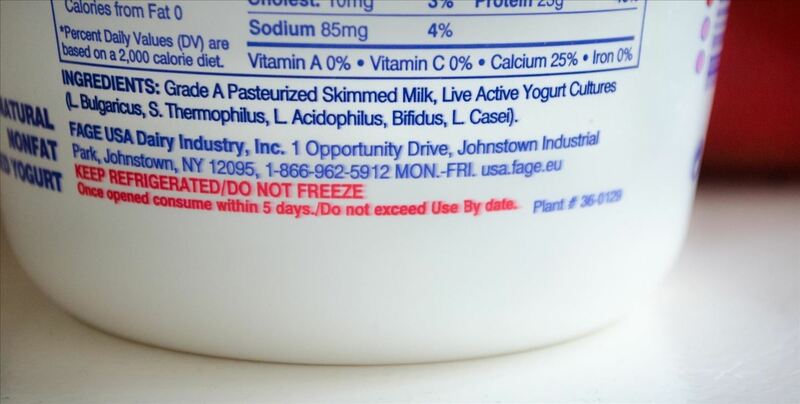 If you aren't sure if the yogurt you have is tart enough, you can always open it and let it chill in your fridge for a few days (not more than 5) to allow the bacteria in the yogurt to develop and become slightly more sour. One thing you will notice about any mock sourdough bread recipe is a longer-than-usual rise time and a low-moisture dough. The extended rise time is also needed in the production of this mock sourdough because it allows the acetic acid-producing bacteria to thrive during fermentation, which yields a tangier bread. It's also important to note that sourdough bread recipes contain very little moisture because these same bacteria thrive in a drier environment, which again helps to cultivate that characteristic sourdough bread tang. 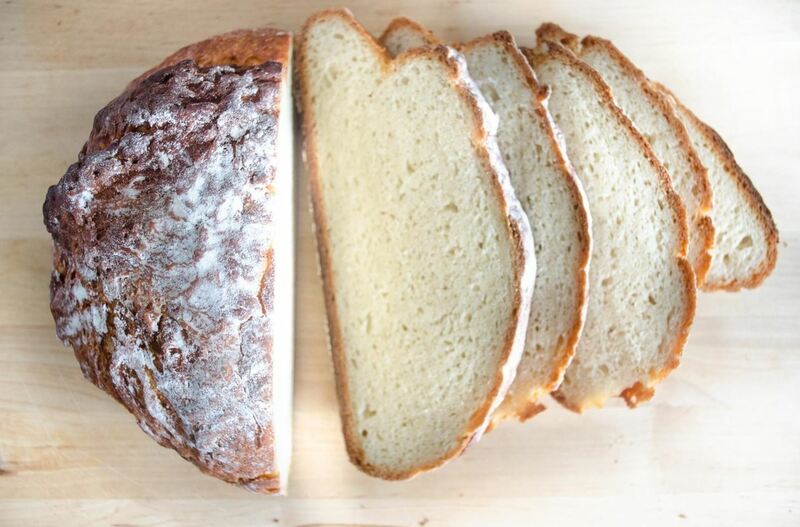 If you are looking for a simple to follow recipe for this mock sourdough bread, this "fraudulent easy sourdough" by Lady & Pups is my favorite. The best part about this recipe is that it requires no kneading: just a basic mix, rise, fold, and bake. If you are looking to learn more about the science of sourdough bread in particular and why it tastes so good, you may want to check out Brady's take on why sourdough is better in San Francisco. 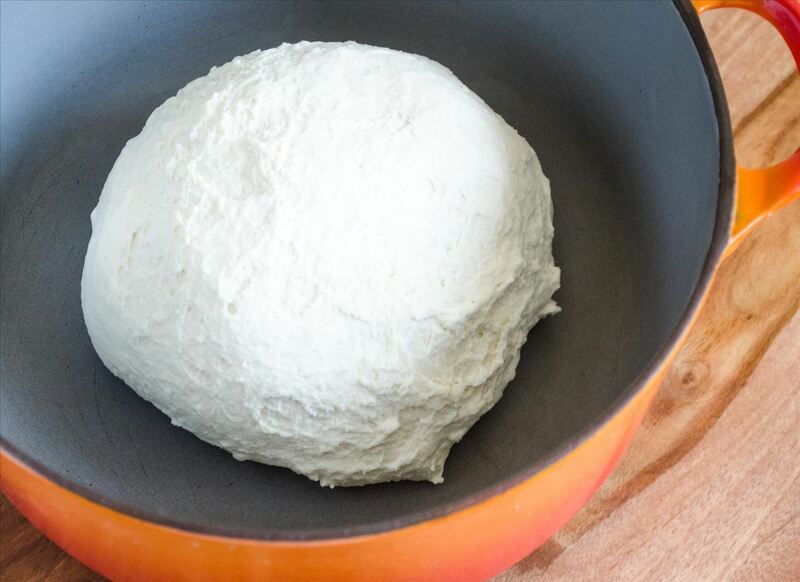 And did you know that you can also make pizza dough using yogurt? You can, and it's awesome. We also have another awesome recipe for no-knead bread in 10 minutes you may like. Let us know if you have any other great tips for making sourdough bread (or any kind of home-baked bread) in the comments below. Better than San Francisco sour dough! Oops, don't tell my father-in-law I said that.